GROWING SYSTEMS' GROWING TRAYS are available in many sizes and styles to match your growing needs! 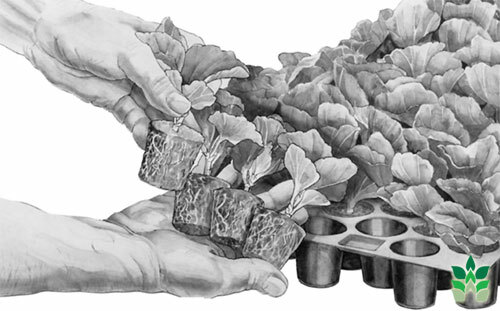 Each tray style is designed specifically for crops ranging from flowers and vegetables, to tree seedlings and tobacco. Drainage holes are cleanly punched and are available in several diameters. 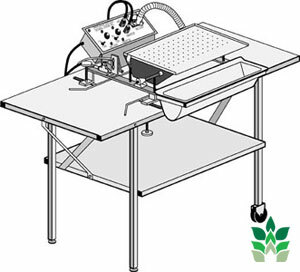 GROWING SYSTEMS' TRAVELLING IRRIGATOR is economical and easy to install! 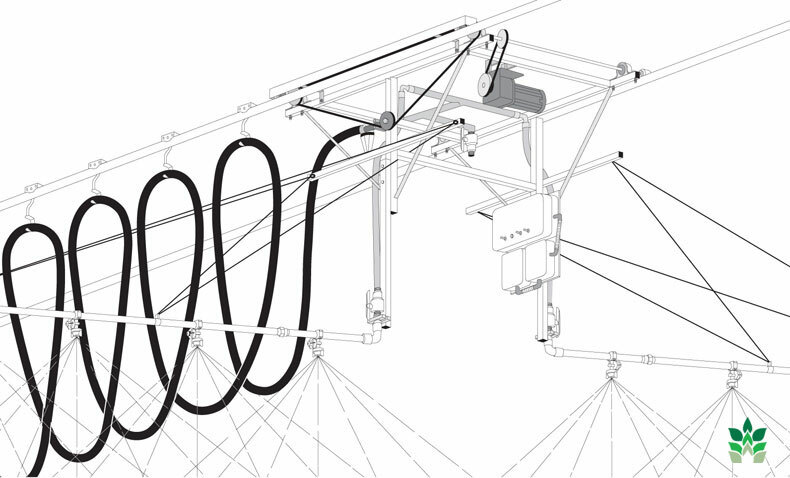 The irrigator can be moved to adjacent greenhouses in a Multispan Range by installing an Irrigator Transfer System at the gable end. The Chassis, Hose, Power Cord, and Hose Trolleys all move on a transfer cart, making it quick and easy to go from one greenhouse to another! 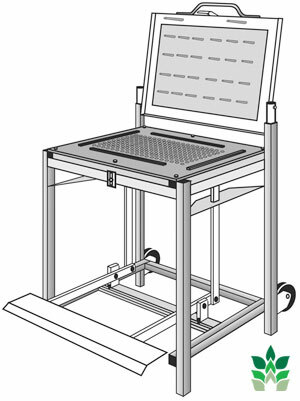 GROWING SYSTEMS' CONVERTIBLE PLUG DISLODGER is designed to accommodate all plug tray sizes, using a common frame. The entire unit is hot-dip galvanized after welding, and heavy duty construction assures positive alignment. Pins are made of plated steel. GROWING SYSTEMS' VANDANA TUBELESS SEEDER was developed to handle a large range of seed sizes, from fine seed like Petunia to coarse seed like Melon and Marigold. This Seeder sows the entire tray at one drop, and the operator can visually inspect the seed placement prior to dropping it in the tray! © 2016 Growing Systems, Inc. All Rights Reserved.